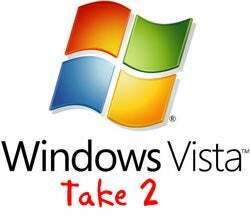 Windows' much demanded Vista Service Pack 1 is finally free for you to download from Windows Update or Microsoft Download Center. Microsoft says SP1 will bring "improvements that address many key pieces of customer feedback, especially in the areas of performance and reliability." Gaming and networking are two particular areas of improvement, though experienced opinionators like our beloved Mossberg think it may well just be turd polish (not his words, to be sure). Want more info? Keep your eyes on this blog. Mossberg Reviews Vista SP1: "Don&apos;t Expect Much From It"